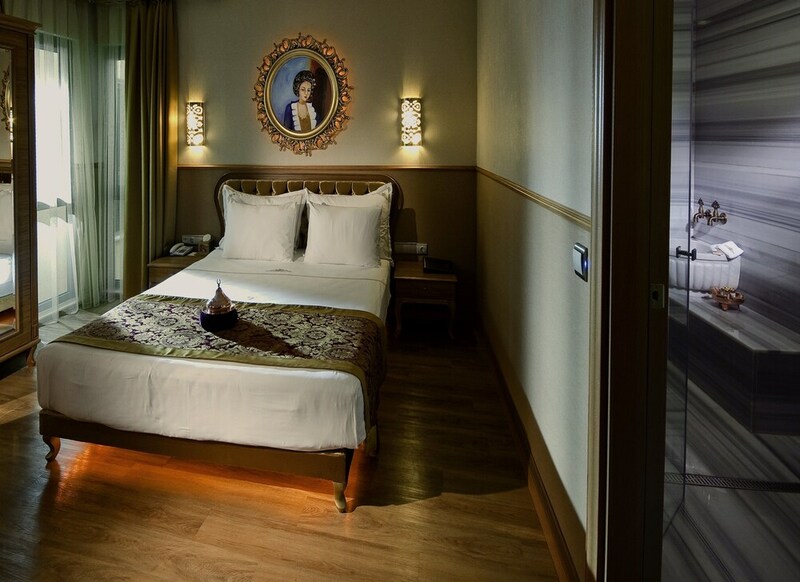 Our customers tell us they enjoy the spacious rooms at Hotel Sultania- Boutique Class. 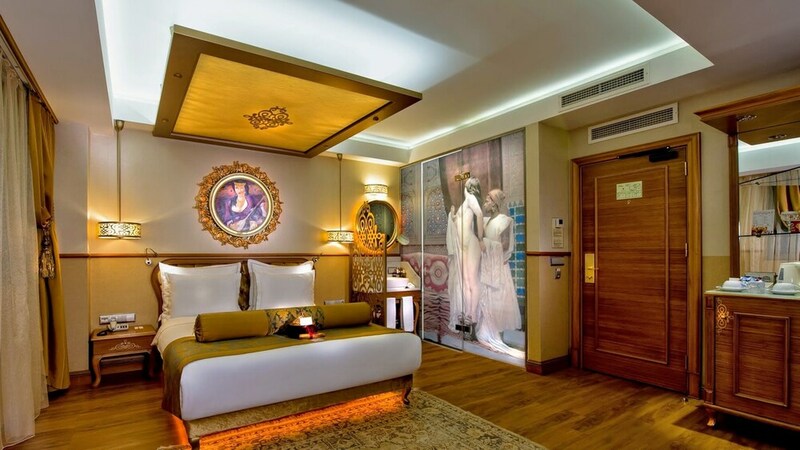 During your stay, you'll be connected to the convention centre and just a quick walk from Hagia Sophia. Features include free WiFi in public areas, plus 2 restaurants and a full-service spa. Built in 2010, this 4.5-star hotel has 42 rooms over 5 floors. Enjoy your stay with amenities like free WiFi and an LCD TV in each room. with the odd blip excepted this was a great experience.We will definitely return and recommend it to friends. Empfehlenswert Hotel, alle mitarbeiten sind sehr Freundlichen und immer Hilfsbereit, so wie die Zimmer und das sind sauber. Kleines, feines Boutiquehotel im orientalischen Stil in ruhiger Seitenstrasse. Alle Hauptsehenswürdigkeiten, Hafen und Einkaufsstraße zu Fuß erreichbar. Öffentliche Verkehrsmittel in direkter Anbindung. Sehr freundliches und zuvorkommendes Personal. Beim nächsten Istanbul auf jeden Fall wieder ins Sultania. Einfach nur Traumhaft! Unglaublich charmant! Was soll ich sagen wir waren wirklich baff. Personal zuvorkommend. Wirklich sehr aufmerksam. Die haben herausgehört das wir unseren Hochzeitstag haben und haben uns im Zimmer eine Überraschung vorbereitet. Wir waren wirklich sehr gerührt. Unser Zimmer war immer sehr sauber. Es wurde an alles gedacht. Safe, Fön, Bügelbrett, Bügeleisen ist inkl. in der Zimmeraustattung. Die Zimmer sind im osmanischem Stil. Wirklich traumhaft. Aber jetzt meine Nummer 1 in Istanbul. Sehr zentral gelegen, alle Sehenswürdigkeiten sind in der Nähe und zu Fuß auch gut erreichbar. Ein eigener Informationsschalter für Unternehmungen oder Restaurantbuchungen ist vorhanden. Sehr nette Dame. 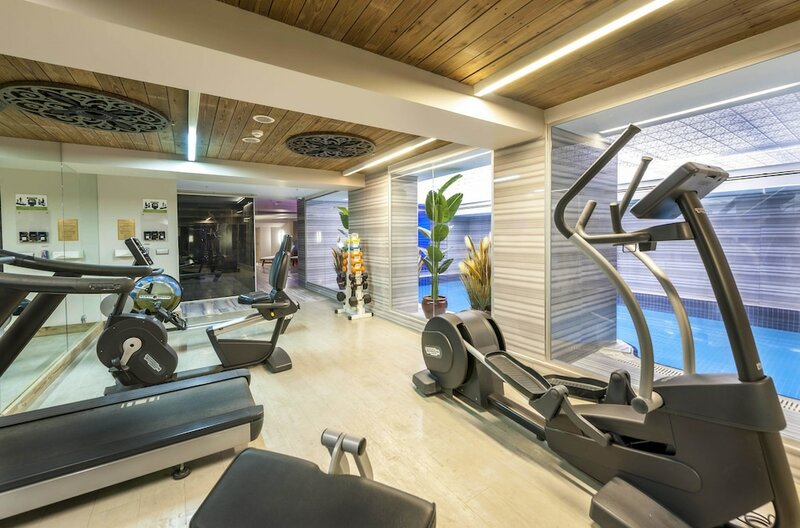 Pool und Fitnessstudio sind kostenlos. 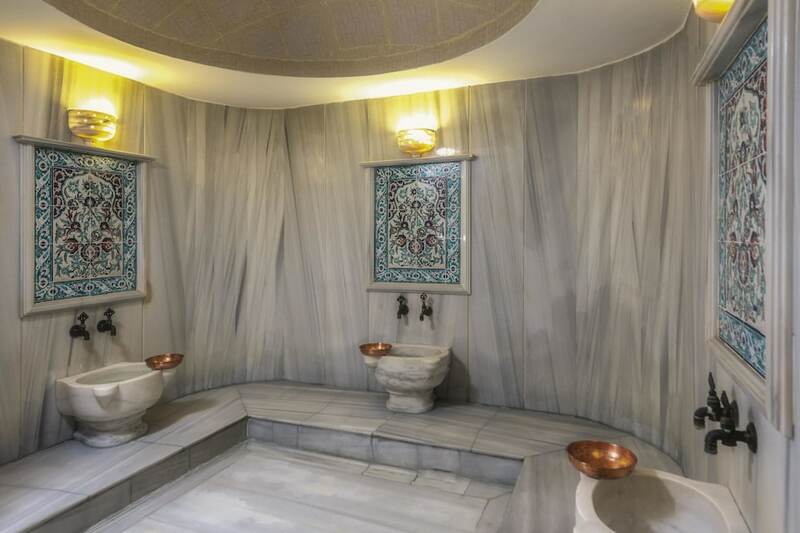 Massage und Hamam waren kostenpflichtig. Einzig der Shuttleservice ist etwas überteuert. Ein Taxi kostet wesentlich weniger. Wir kommen wieder und waren 100% zufrieden. Wir waren schon in vielen Hotels, aber dieses ist in Istanbul meine erste Wahl ab jetzt. Dear Taner, We thank you very much :) We are all happy to meet you and host you here in our lovely hotel. It is big happiness to see that you have satisfied on your stay. We wish to see you again Warm regards..
Dear Adis, We thank you very much for your valuable review. We will be happy to host you again. with our warm regards..
Room was clean and the staff was very friendly. 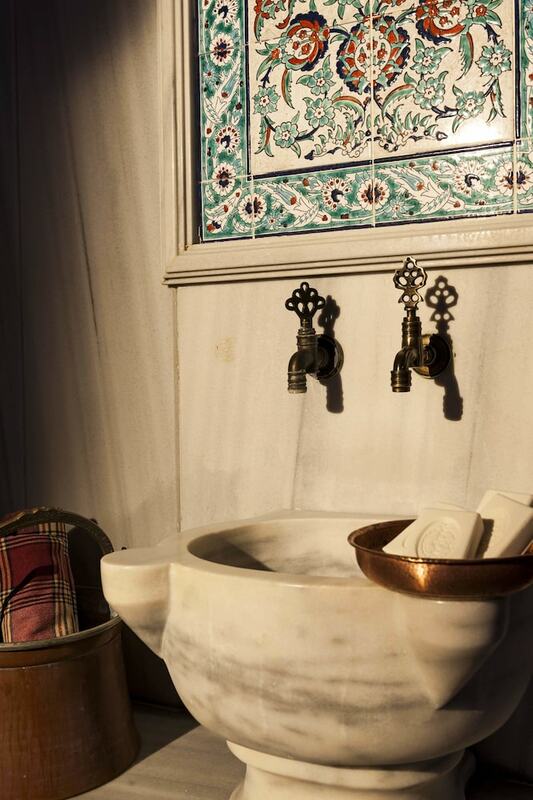 The location is perfect nearly to public transport and to sights of Istanbul. 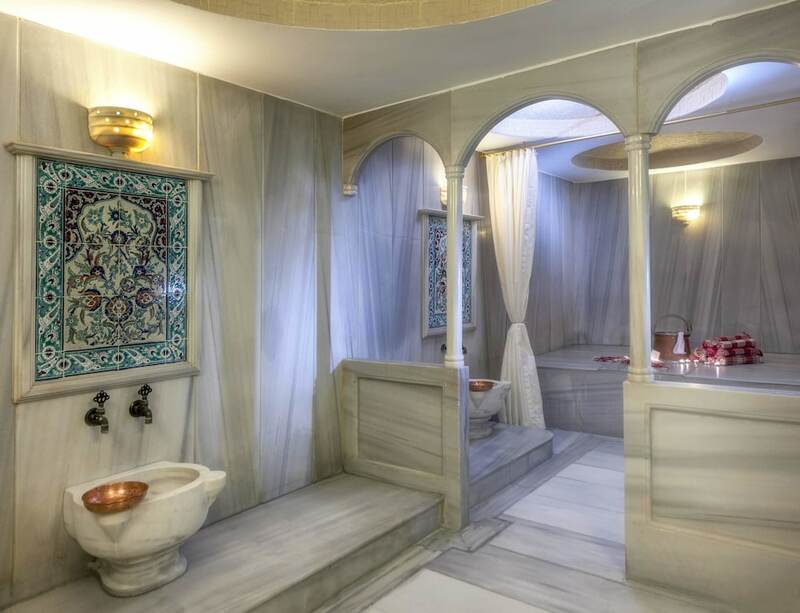 I would book again at Sultania when i go again to Istanbul. Dear valuable guest, Thank you very much for yur lovely comment. It's very big proud that ,we hear you will stay once again in our hotel. We are looking forwards to see you :) Regards..
Dear Jasmina, How a nice pictures at your camera:) We happy to see that you satisfied on our hotel. We are looking forwards to host you again . 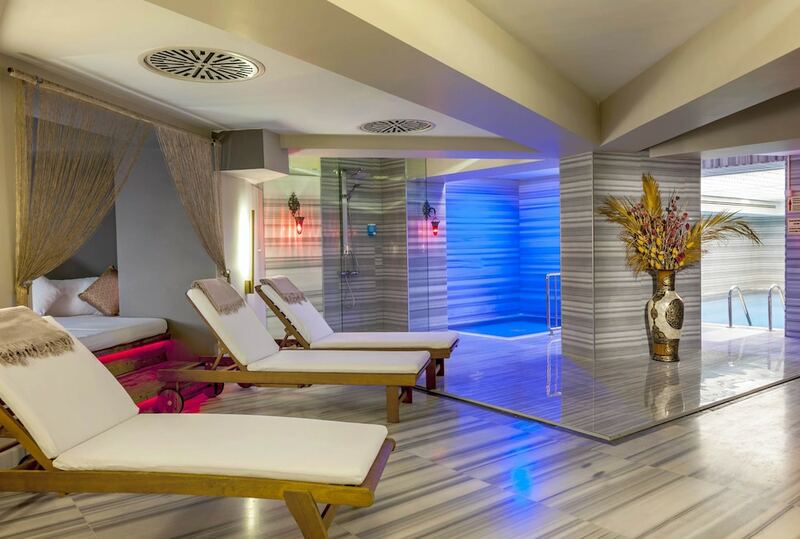 Regards..
Hotel Sultania- Boutique Class offers its guests a full-service spa, an indoor pool, and a sauna. There are 2 restaurants on site, along with a coffee shop/cafΘ. You can enjoy a drink at the bar/lounge. A computer station is on site, and both WiFi and wired Internet are free in public spaces. You'll find a 24-hour business centre on site. 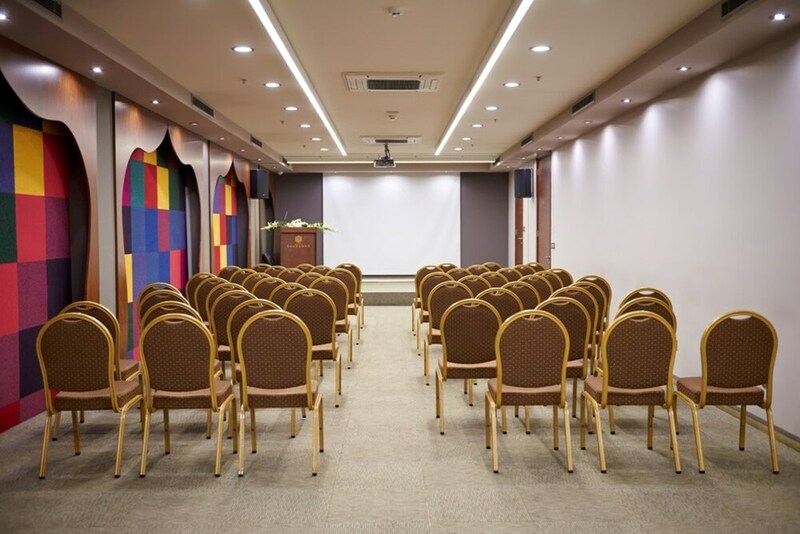 Event space at this hotel measures 75 square feet (7 square metres) and includes conference rooms. 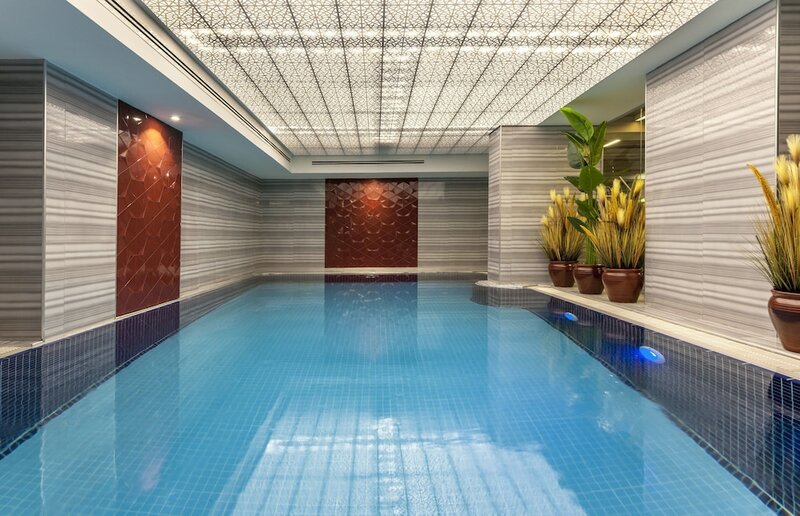 A fitness centre, spa services, and a library are also featured at the luxury Hotel Sultania- Boutique Class. A round-trip airport shuttle (available 24 hours) is available for a fee. 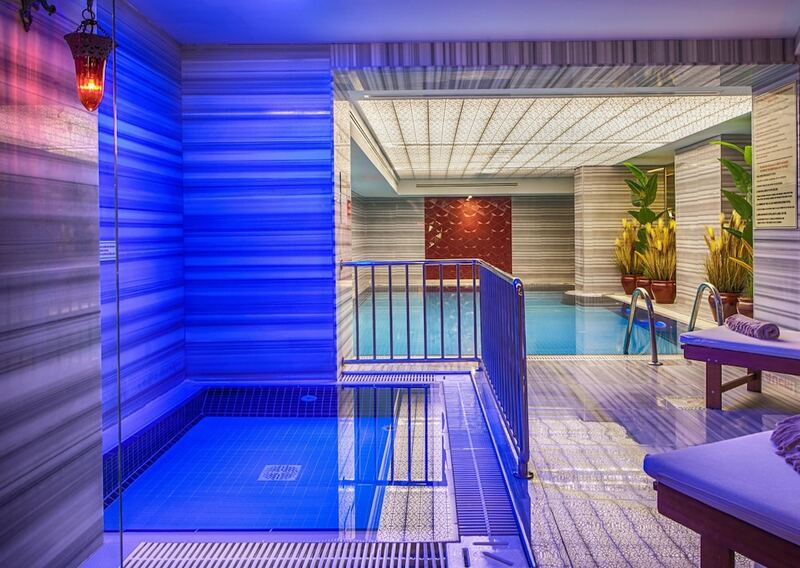 This 4.5-star Istanbul hotel is smoke free. Hotel Sultania- Boutique Class offers 42 forms of air-conditioned accommodation with iPod docking stations and DVD players. Each accommodation is individually furnished and decorated. Beds feature premium bedding. A pillow menu is available. 32-inch LCD televisions come with satellite channels and pay-per-view films. Coffee/tea makers and minibars are provided. Bathrooms include a shower, a complimentary bathrobe, complimentary slippers and complimentary toiletries. Guests can surf the web using complimentary wireless Internet access. Business-friendly amenities include desks, laptop-compatible safes and telephones. Additionally, rooms include complimentary bottles of water and a hairdryer. Housekeeping is provided on a daily basis. Sultania Restaurant – This restaurant specialises in Turkish cuisine and serves breakfast, lunch and dinner. Guests can enjoy drinks at the bar. A children's menu is available. Happy hour is offered. Olive Anatolian – This restaurant specialises in Turkish cuisine and serves breakfast, lunch, dinner and light fare. Guests can enjoy al fresco dining (weather permitting). A children's menu is available. Happy hour is offered. Reservations are required. Open daily. Sultan Spa Center has 2 treatment rooms. Services include deep-tissue massages, facials, body scrubs and body treatments. 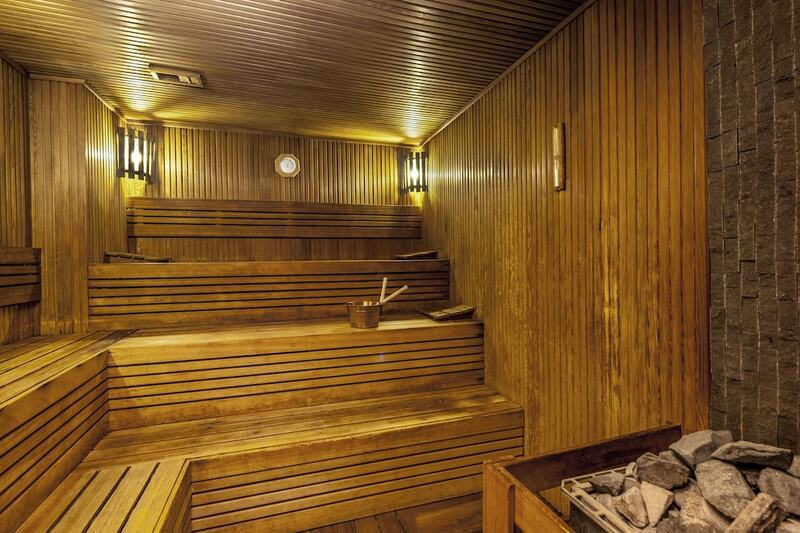 The spa is equipped with hot springs/mineral springs, a sauna and Turkish bath/hammam. A variety of treatment therapies are provided, including aromatherapy. 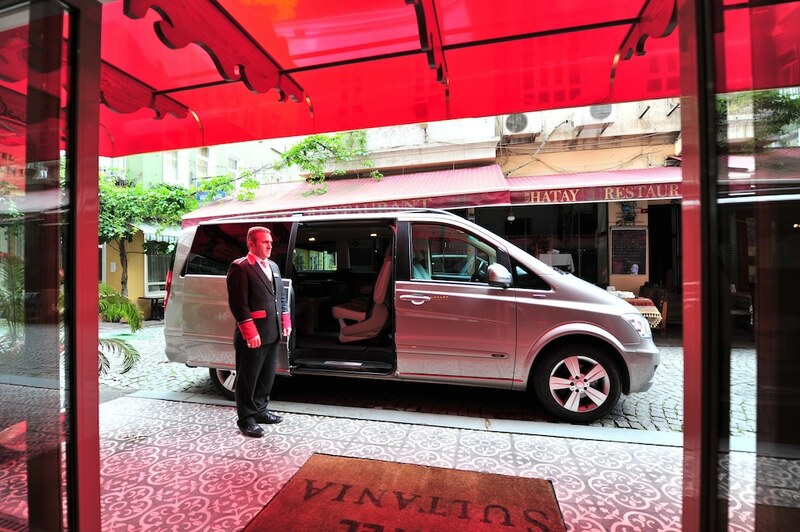 Hotel Sultania- Boutique Class offers transfers from the airport (fees may apply). Please contact the property at the number on the booking confirmation 48 hours prior to arrival with your arrival details.